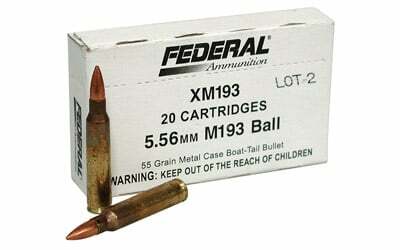 Manufactured by Lake City Army Ammunition Plant in Independence, Missouri. Same ammo is sold to U.S. military forces. Lake City headstamp. Crimped primer. Brass cases. Full metal jacket boattail bullet style. Visible iris. Do not use in non-standard 5.56mm chambers.